A bag can easily be sewn on any domestic home machine with whatever supplies you have at hand, however, if you’re seriously considering of starting a bag sewing business or if you already have one but would like to take your business to the next level, you need to answer just one question. What’s that one thing that stops you from making more money from sewing bags? The more time you have, the higher no. of orders you can take and deliver, which in turn will bring you more cash. So, how do you save time and make more bags in the limited sewing time you have every day? 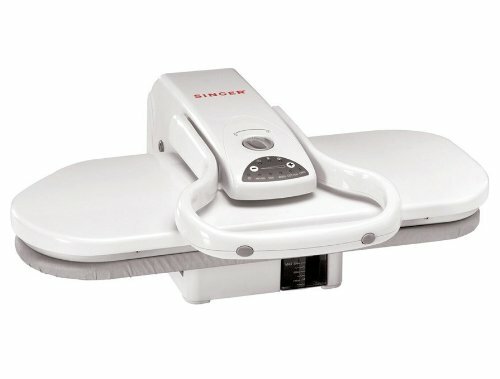 By investing in some time-saving machines that will boost your productivity and help you in minimizing your sewing time by half or even more. Let’s look at some of the time-saving machines and tools in this post! This is something which is a HUGE time saver for sewing bags. The moment you decide on sewing bags for business, you should IMMEDIATELY get hold of one because it makes the process of adding rivets a breeze. However, be careful where you order it from because it’s a heavy thing and most of the times breaks apart during shipment. Therefore, try buying it directly from the shop in person. If not, buy it from a proper trusted sewing supply dealer. Avoid getting it from Amazon through sellers from China. I’m in love with this machine since the time I saw it in one of the Hermes bag making videos. Oh, my! I cannot define in words how IMPORTANT it is to have a post-bed cylinder arm for bag making. 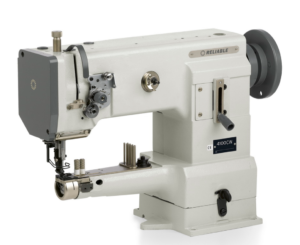 The no.1 reason to have a machine like this is the ease with which it can sew in those tiny naughty corners of your bag. ESPECIALLY those drop-in linings and strap extenders. If you’ve been making bags for a while you’d know there can be nothing more important than easily getting in those tight corners which is absolutely impossible on a machine with a bed. As I write this post I’m partly daydreaming about sewing Lady Boss laptop bag on this beauty. It’ll be like sewing a bag in the heaven. These are all important elements to have when buying an industrial bag making machine. However, if you’re on a really tight budget, you can at least get a basic industrial machine which can go through several layers of fabric like a knife slicing through a butter. Plus, an industrial is wayyyy faster than a domestic so it will save you ample time while sewing. 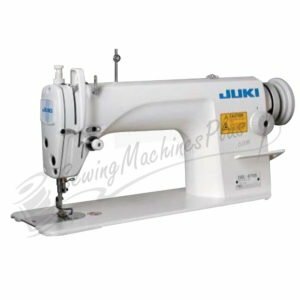 Based on my research, this sewing machine Juki DDL-8700 is the most popular one among all bag makers. When you’re ordering one, make sure it comes assembled with a servo motor and you get both of these things when you order from here. CLICK HERE TO CHECK THIS MACHINE OUT! The most important thing to be able to sew lots of bags and make more cash is to HAVE LOTS OF TIME on hand, which will only be possible if you are able to cut down on the production time. And that’s where a steam press comes into the picture. Fusing interfacing to individual pieces is the next big thing (other than cutting) which eats up my sewing time like nothing else. It’s such a waste of precious time that could’ve been spent on making the bag more beautiful with added creative touch. Which is why I recommend all bag makers planning to start a bag business, to invest in things that will give the highest return on investment for their time and one of those things is a Steam PressSteam Press. A steam press is perfect for fusing several different pieces of fabric all at once due to it’s way larger surface compared to an iron. In less than a minute, you can have all your bag pices interfaced and ready for sewing. This steam press is the most popular on Amazon if you’d like to get one. However, you can also check out the ones given below. Check out used offers here. Another time eating task when it comes to sewing is cutting out the fabrics. Nothing annoys me more than cutting out pieces and pieces of fabric. If everything is cut out automatically, it would save up hours and hours of my sewing time especially those strap connectors with small details. Those are best to be cut using an automated machine such as the Cricut Maker. You can easily upload the files on the Cricut Software and cut out several connectors together especially if you’re sewing 10 bags in a row. 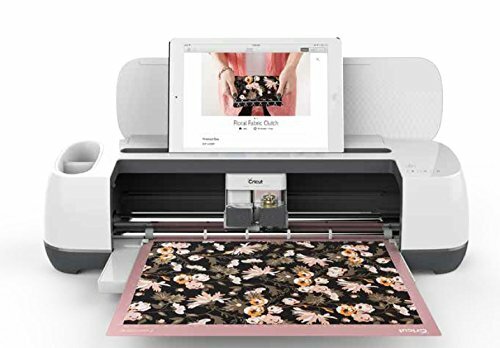 If you’re wondering whether you should buy Cricut Explore Air or Cricut Maker, then know that for sewists, Cricut Maker is the best due to its much-advanced cutting technology. Click here to check out used offers for Cricut Maker on Amazon. For cutting out larger pieces of fabric that won’t fit in Cricut, you can invest in an electric rotary cutter to save your cutting time. 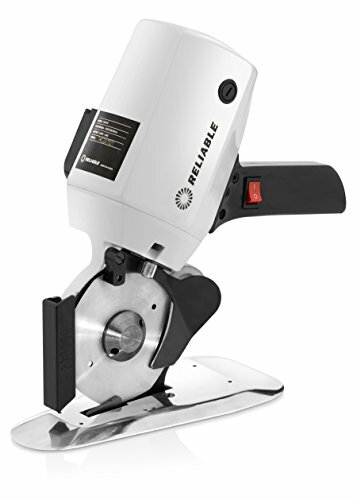 This rotary cutter can easily cut through several layers of canvas, vinyl and upholstery and the most popular one on Amazon. Watch a demo here. This will allow you to cut out 5-6 bags together so that you can save up time while sewing for craft shows or while stocking up your shop. 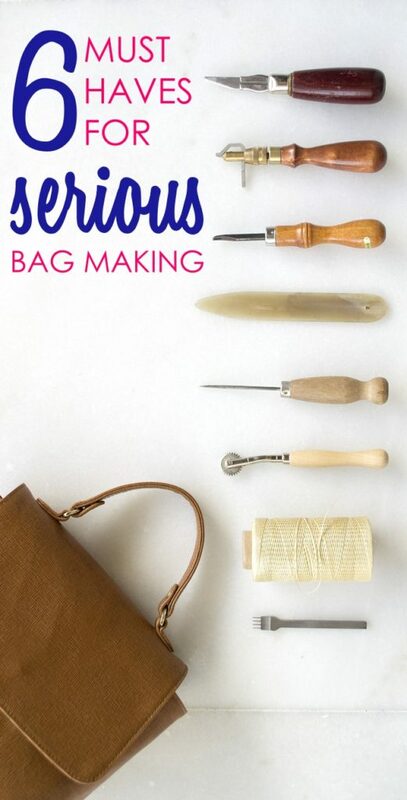 With that, we have reached the end of the post where I shared with you 7 must have tools and machines for serious bag making. So, if you started a bag business and your business is quite popular and bringing in cash regularly, you might want to think about upgrading your machines and supplies so that you can be more productive with your limited sewing time and sew more bags in lesser time.